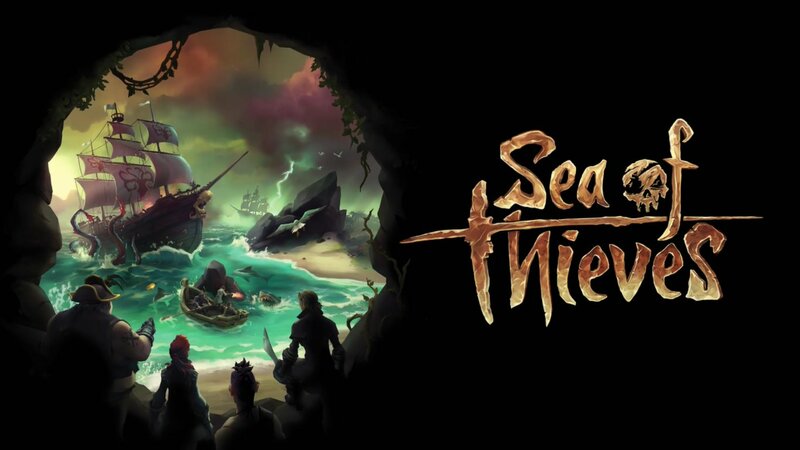 Sea of Thieves finally saw its release this week, but since then I've seen the Internet mostly having the same question when they have loaded it up, that question is WHAT DO I DO? 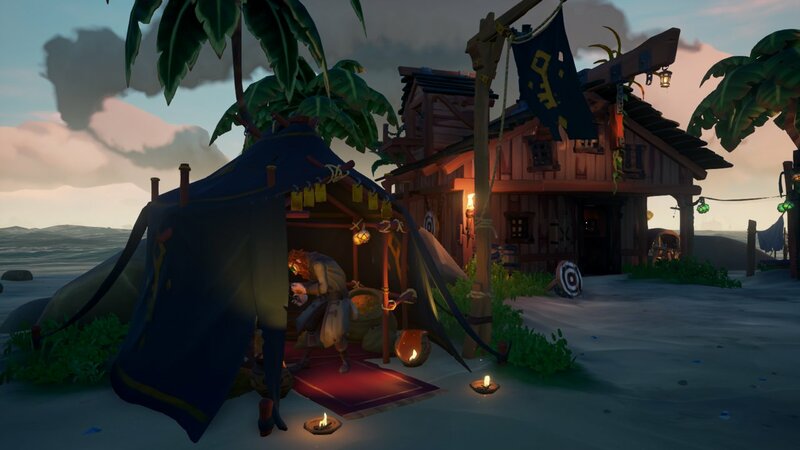 I too was once this pirate noob who was worried not getting it would ruin the game for me, but a day or so later and I sort of know what I'm doing. So because I can't do a video at the moment writing something up was the only option available. Hopefully, this helps someone out there to enjoy the game, and if not just ask me to play and we will bloody get there in the end. Loading into the game you find yourself in what I like to the call drinking establishment on one of the many outposts the game has. 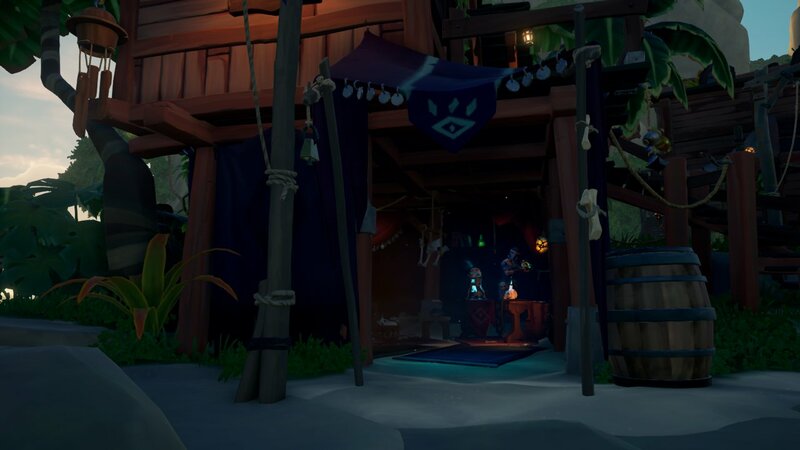 While these outposts may have different characters on them, all of them serve the same purpose, this is the place you come to get voyages and spend any cash you happen to earn. There are three voyage options in total on every outpost. Thesevyages are free when you first start, but after a while these voyages will also cost you coin to play them. The Gold Hoarders: These guys want you to go and find them a chest on an island that you have to go and dig up. The hoarders can be found in tents like the one seen in the image below, with them certainly having a dastardly look about them. Just look out for the flag also in the image if you need an easier pointer. Walk up to them and chat and take a voyage you fancy from them and return to your ship to get going. 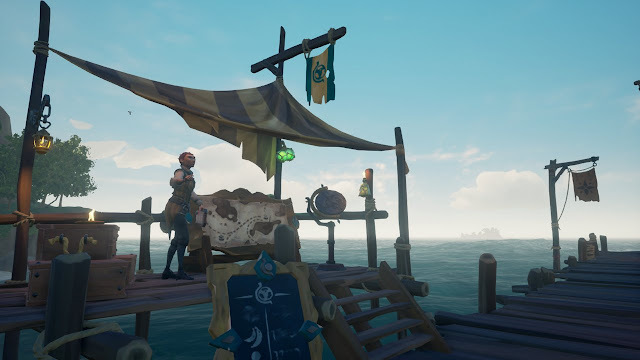 Once getting to your ship go to the voyage table (not to be confused with the map table you silly pirates) and vote to start it off. Once you start a new voyage a map will or information sheet will unlock for you which you can view by pressing the RB button (this is the case for every voyage too). and using the right analog stick to select it. Simply press RT to give it a better look. If you have any other crew members you can also show these maps to them (even though they have their own) by using LT. 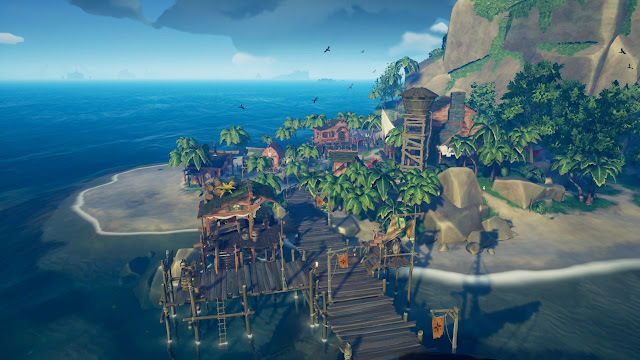 These maps will show you an island which has an x marking the spot where the treasure is, simply look on the map table for an island that looks like the island and sail there to get the treasure. Upon getting to the island go to where the x on the map is and get out your shovel and dig (LB Button and down to equip your shovel, RT to dig). You will know you're digging in the right spot as a loud thud will be heard on your first attempt of digging, when the chest is fully out of the dirt pick it up and go put it on your ship and return it to any Gold hoarders at the nearest outpost to you to get your cut. Order of Souls: These guys below want you to complete voyages which see you having to kill a bunch of skeleton men along with their captain. Take the voyage from them and like the previous voyage take it to the table on your boat and vote to start it off. Once again you will get a map, this time telling you an island you can find him on. Go to your map and zoom in a tad by pressing RT which shows the names then sail to the island and kill it to complete. Once the captain is dead he drops a fancy looking skull which you must take back to sell to them. Pretty sure that any Order of Souls place on any outpost will work just fine. As with every treasure in the game the threat of other online players taking your booty is always a threat that could be just around the corner, so do get rid asap as not all online pirates will want to dance or drink grog with you. That's voyages out the way but outposts offer a bit more than that, with multiple shops more than happy to take your gold from you. Shipwright's offer you things for your boat like figureheads, a new hull, and sails. The equipment shop lets you buy fancy looking buckets, better-looking music instruments, and also things like a pocket watch. Weaponsmiths let you buy better-looking weapons, be that cutlass, blunderbuss, pistol, or sniper. Finally clothing, with this offering new beards, peg legs and hooks to name but a few things. That's all you really need to know to get going, fellow pirates. Remember to always have your eye out for other online players, while some will be friendly, others will be more than happy to slice you up and shoot you out the water, so interact at your own peril. Now go have some fun.